When we came across this beautifully simple Victoria Beckham dress we couldn’t help thinking it would look amazing with some classic jewels and perfectly pink peonies. We’d start with adding an art-deco inspired ‘Mae’ Hair Clip to a perfectly coiffed chignon, coupled with the ever popular ‘Sweet Nothings’ studs for a subtle sparkle. 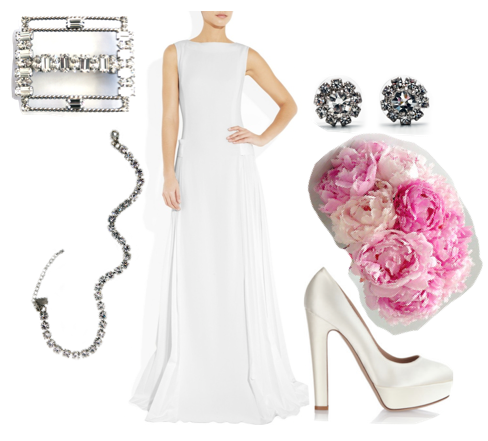 Complete the look with ‘The Show Must Go On’ Wrap Bracelet and some sleek Valentino pumps et voila! A chic bridal look that makes a statement with its simplicity.